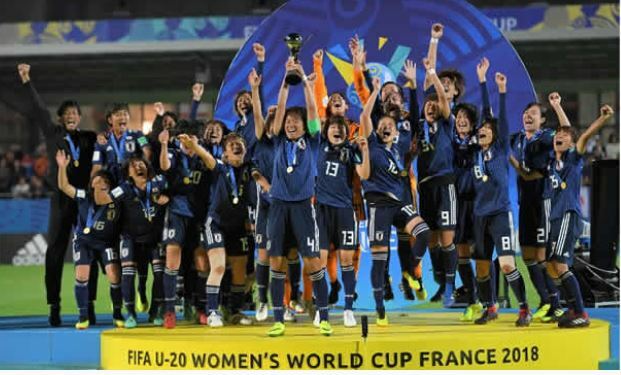 An extremely persistent Japanese side overwhelmed Spain to lift their first ever U-20 Women’s World Cup, beating Spain 3-1 in France on Friday. With top picks Germany and the United States – who had won six of the last eight titles between them – as of now been thumped out of the tournament, Japan capitalized on their unexpected chance. Hinata Miyazawa gave them a 38th-minute lead before Saori Takarada (57) and Fuka Nagano (65) put the game past the reach of Spain who snatched a late relief through Candela Andujar. England defeated France 4-2 on a penalty shoot-out to come third after their play-off had ended 1-1. At the medal function, the Golden gloves was awarded to Sandy Maciver of England while Spain’s Patricia Guijarro won the golden boot with six goals in the competition. Guijarro likewise won the golden ball award of the competition, and the fair play award went straight to Japan. Japan has now won all titles in the FIFA Women’s event.